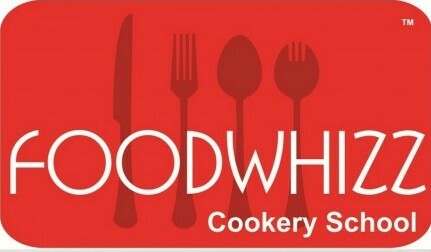 Founded in 2010, Foodwhizz Cookery School by Chef Shwetambari Pandit is a one of a kind, professional cookery school in Mumbai, that focuses on training its course participants in the fine art of cookery & bakery. An endless course list, individual attention to every participant and impeccable perfection to every detail is our agenda. Taught by the Chef herself, courses are offered at Advance (A), Basic (B) & Custom (C) levels with flexibility to choose the course list, the schedule and even the course budget. Our unique and unmatched services include, Staff Training, Rent-a-Chef & Corporate Bonding events. Our website is our e-brochure, so browse away. If you’ve found what you want, you can book your course now! If you don’t find what you’re looking for or want to send us a query please feel free to contact us and we’ll get back to you! Till then…cook & bake someone happy!